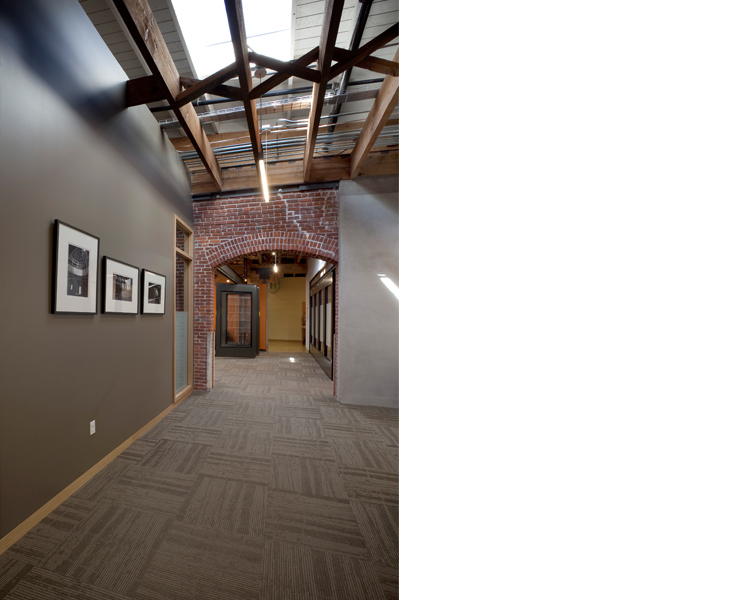 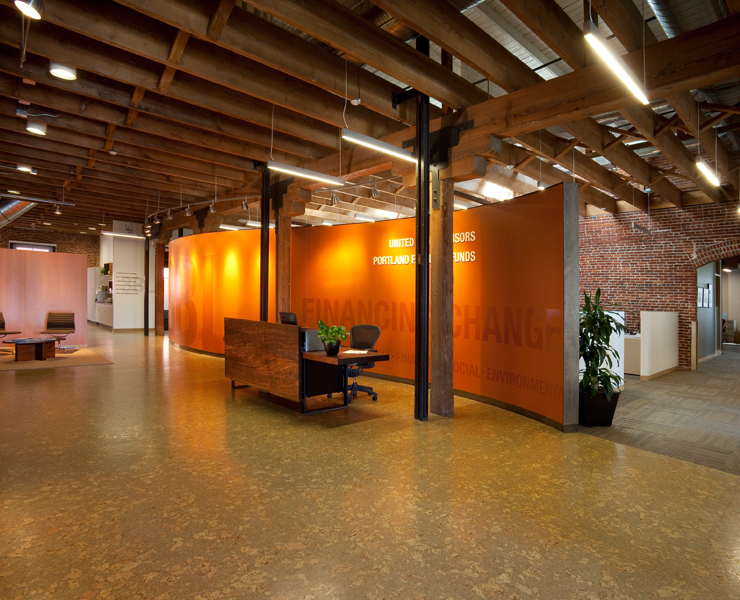 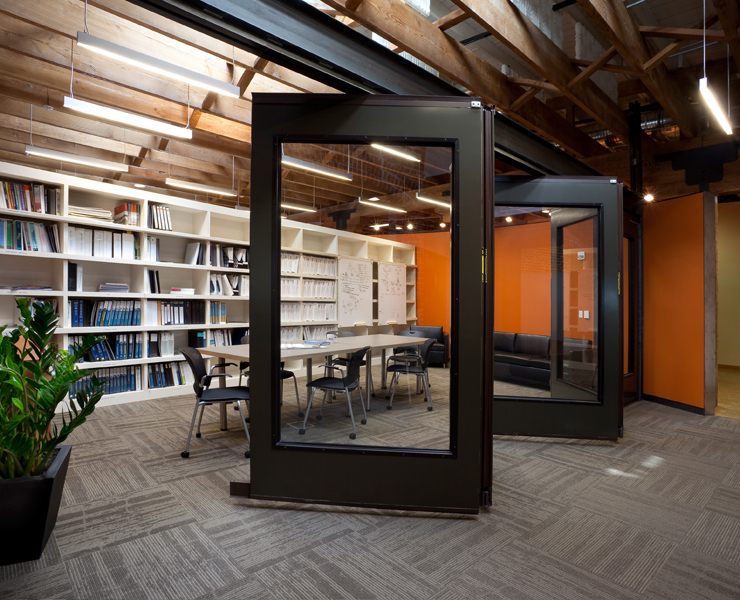 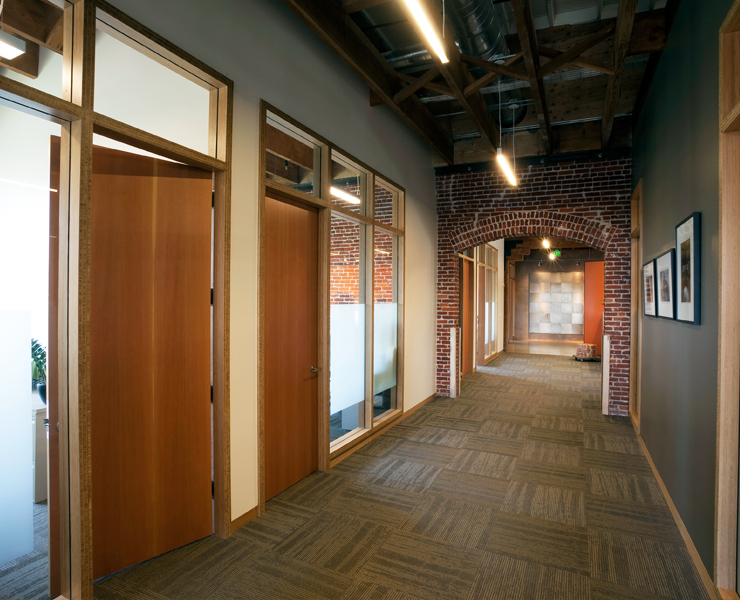 Opsis recently completed tenant improvements for the corporate offices of United Fund Advisors, located in the renovated historic Skidmore Building in Portland’s Old Town district. 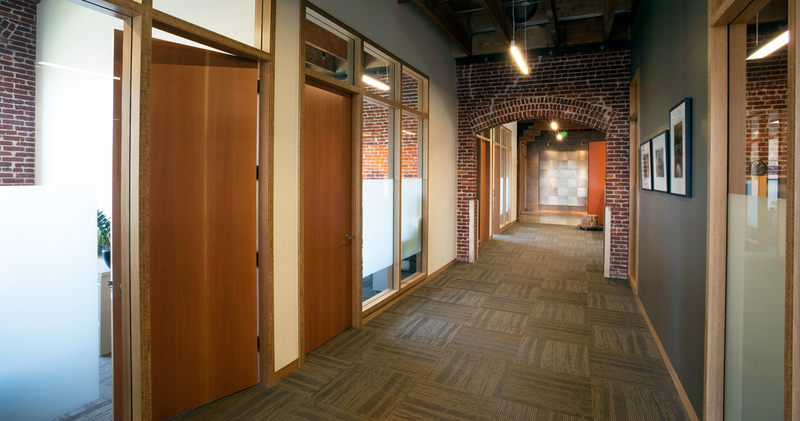 The goal for the 7,700 sf project was to create a center of excellence and sustainability resulting in a space that reinterprets the way financial offices are configured, reflecting UFA’s commitment to reinvent the way that financing is practiced. 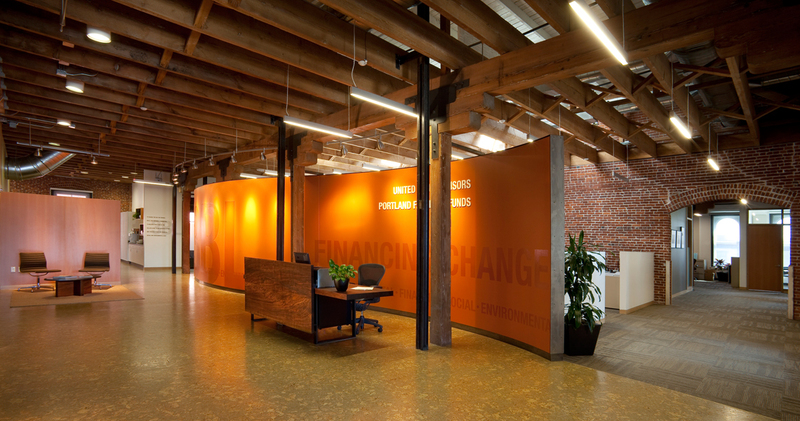 UFA’s mission emphasizes a “triple bottom line” approach to financing and development, which includes a commitment to sustainable practices. 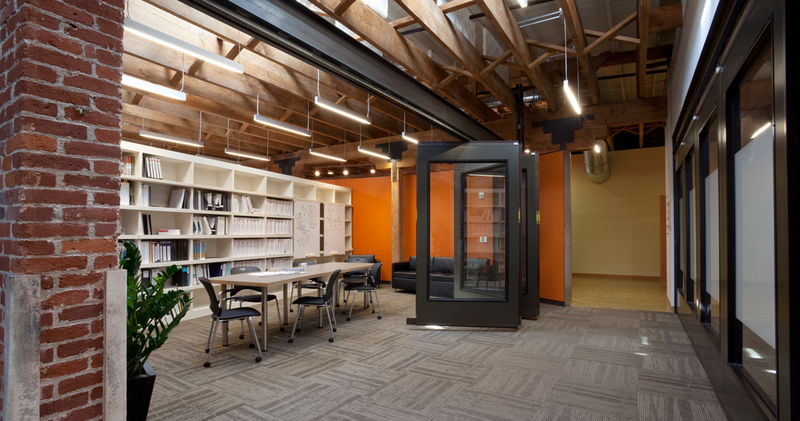 The design of the office reflects UFA’s values with a range of sustainable strategies, including high performance mechanical systems, abundant daylighting, and outdoor views throughout the high-bay space. 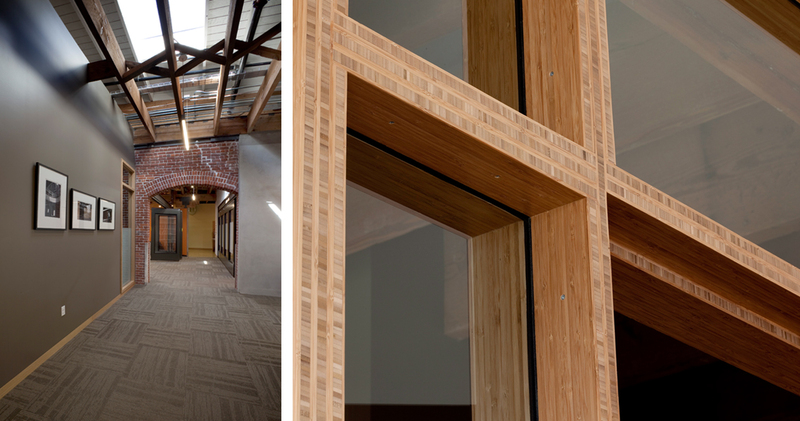 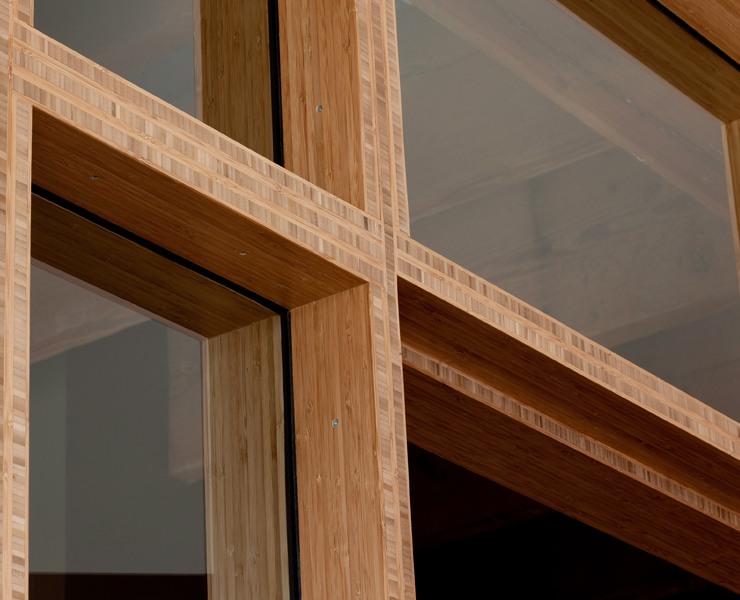 A palette of recycled, rapidly renewable and regionally sourced materials is used throughout the space, including natural cork floors, an interior glass and bamboo wall system, and FSC certified wood paneling and cabinetry. 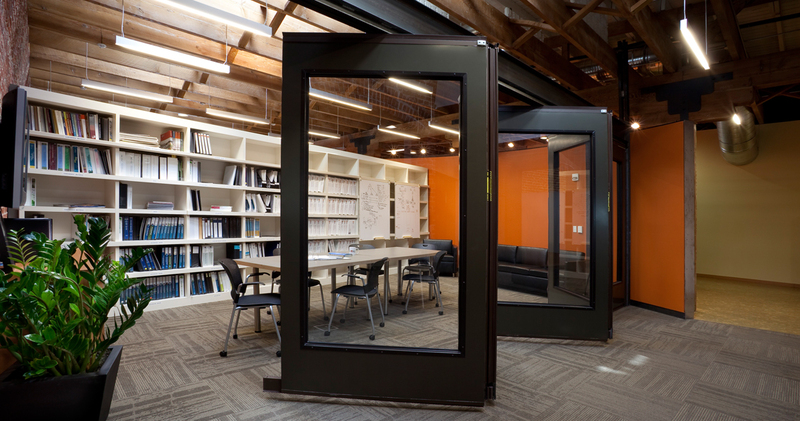 The highly adaptable space includes large folding wall partitions that allow conference rooms and work spaces to transform into large open areas for full office meetings and other events. 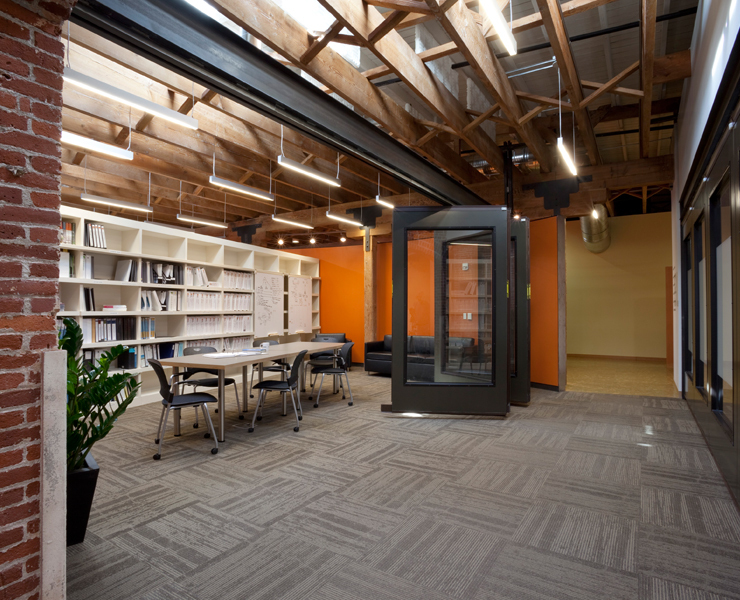 The project is one of the first in the nation to be awarded LEED-CI Platinum Certification.